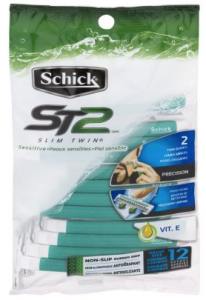 Just to set the stage when it comes to shaving … I’m a “humble twin” or cheap Schick ST2 razor kind of guy. I usually add a little Barbasol Aloe shaving cream or CVS equivalent and rarely opt for an after-shave lotion. It is a daily chore that I’ve repeated daily for decades, although have switched to an electric razor off and on. I’ve never looked at shaving to be much different from washing or showering … it was just a chore. BUT … recently I clicked a link for a $3 trial from Harry’s because it was inexpensive and I needed a new razor handle (I refused to buy one from The Dollar Shave Club — yes, I’m a cheapskate). Anyway, after receiving the nicely boxed sample pack, I proceeded to take the small 2 oz can of shaving gel, fancy German 5-blade razor and shave lotion with me when traveling. Wow, what a pleasure. It was not only the nice razor with trimmer blade, but the wonderfully scented (think aroma therapy) shaving gel and masculine after-shave lotion that has now spoiled me to the chore of shaving as it is now something I look forward too! Do yourself a favor and give up a few bucks for the trial … but be warned, you might get hooked on a better razor, cream/gel and after-shave lotion!